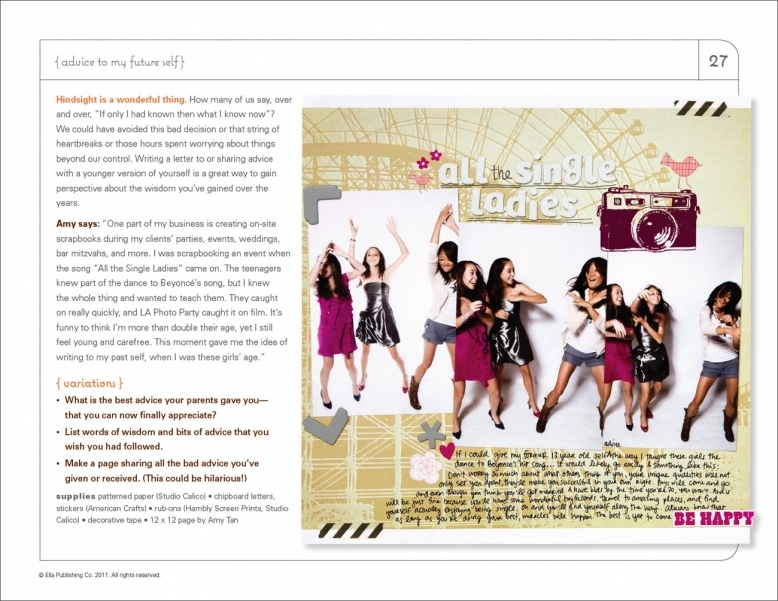 When I was asked to be a part of this eBook from ella publishing several months ago, I got really excited. It's a topic I can easily relate to and happens to be my first time being published in an eBook. Oh and a couple years ago, the BFF and I learned the entire dance to Beyonce's song. Oh yes we did. Love the premise -that it's for both current or former singles... which means it's a creative catalyst appealing to anyone, really. 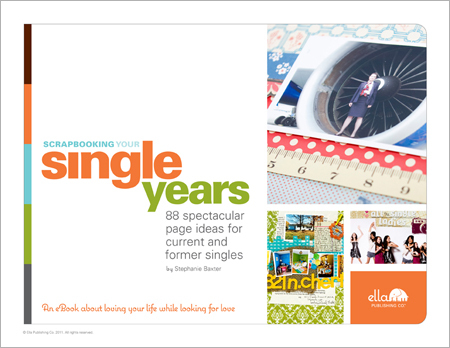 From ella's site: Newcomer author Stephanie Baxter brings you a 30-page guide to capturing all aspects of your single years—whether you're in the midst of them or they're long in the past. supplies: Studio Calico, American Crafts, Hambly and washi tape. Available now for just $6.99, this eBook is such an amazing value and is full of inspiration. And to celebrate the launch of Stephanie's first eBook, ella's letting me give away not just one, but TWO copies. Just leave a comment telling me something fun about your single years, either current or former and a couple random winners will be chosen Wednesday, June 29.